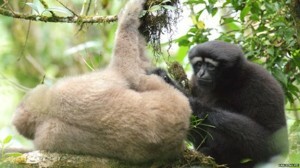 A new species of gibbon, previously unrecognized by science, has been described. The January 10, 2017, article, “Description of a new species of Hoolock gibbon (Primates: Hylobatiade) based on integrative taxonomy,” in the American Journal of Primatology, shares breaking news of a new ape. 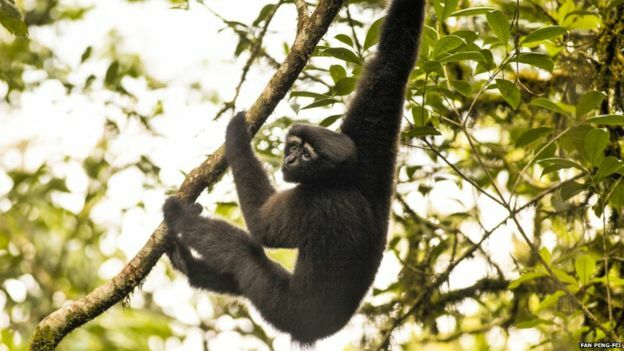 The paper’s authors describe a species of Hoolock gibbon (Primates: Hylobatidae) that is new to science from eastern Myanmar and southwestern China. 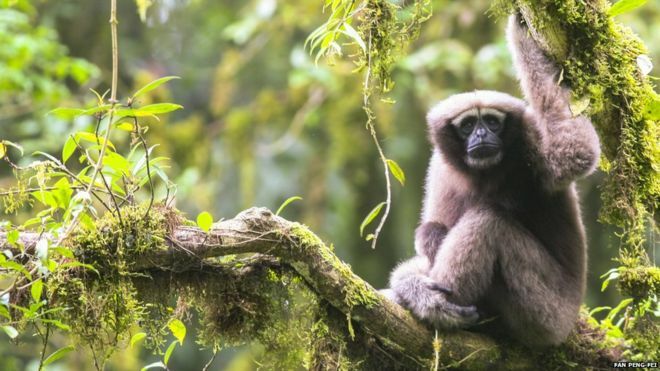 The genus of hoolock gibbons comprises two previously described living species, the western (Hoolock hoolock) and eastern hoolock (H. leuconedys) gibbons, geographically isolated by the Chindwin River. 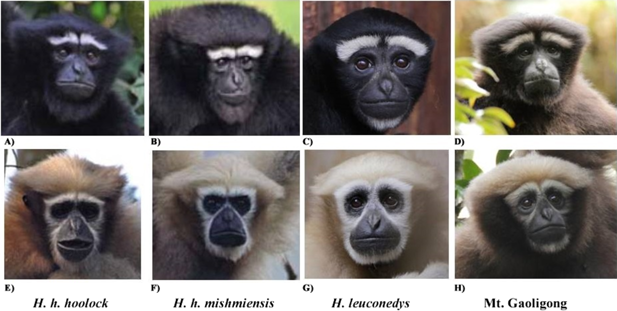 They assessed the morphological and genetic characteristics of wild animals and museum specimens, and conducted multi-disciplinary analyses using mitochondrial genomic sequences, external morphology, and craniodental characters to evaluate the taxonomic status of the hoolock population in China. 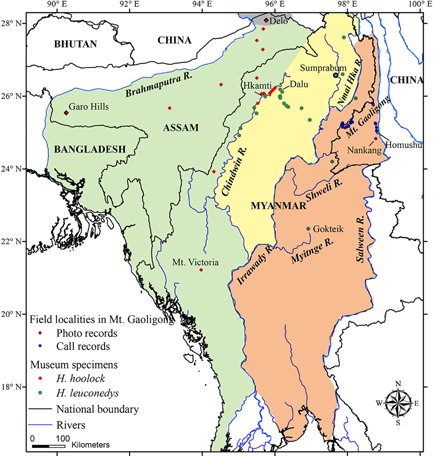 The results suggest that hoolocks distributed to the east of the Irrawaddy-Nmai Hka Rivers, which were previously assigned to H. leuconedys, are morphologically and genetically distinct from those to the west of the river, and should be recognized as a new species, the Gaoligong hoolock gibbon or skywalker hoolock gibbon (H. tianxing sp. nov.). We consider that the new species should be categorized as Endangered under IUCN criteria. Photos of male (top row) and female (bottom row) hoolocks from different taxa and geographic populations. 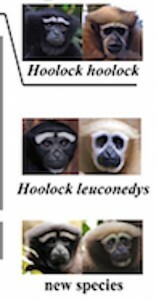 Photos of H. h. hoolock and H. h. mishmiensis are from Choudhury (2013).